All of a sudden it's Thursday night. I don't know where this week went. Really, though. Abby and I have spent the week doing... well, I actually don't know what we've been doing. Regular, normal, day-to-day things, I guess. Like grocery shopping, and going to Target and changing diapers (well, i've been changing diapers...abby's been pooping in them... a lot of them...). We've been busy. I feel like it is only Tuesday, at the latest, this week has flown by. This weekend we are trekking up to Idaho to watch Aunt Hailey in her Cheer competition. I have to go pack. Is it just me, or does a baby require the same amount of things to travel overnight as one would to travel for three weeks? 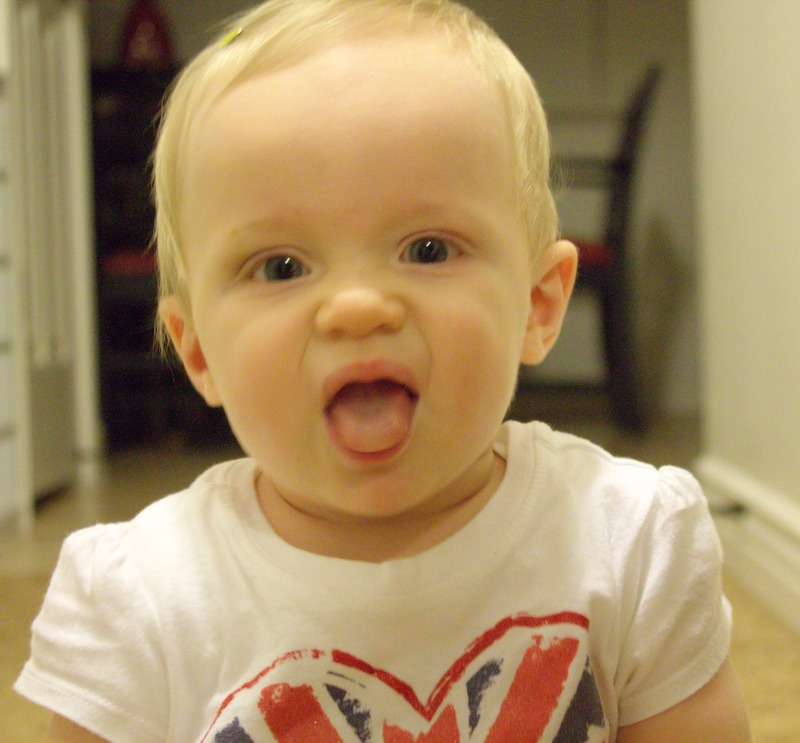 Meanwhile, I'll leave you with the image of our crazy baby. Our crazy baby who I'm pretty sure says "da-da." Ouch. Talk about stabbing this mom right in the heart. Sensitive subject, I'll address it at another time.